support businesses to capture these opportunities. are concerned about safety, energy efficiency and good design. rail, ports and airports to facilitate the movement of people and goods. the third area of growth. region’s GDP, three times today’s contribution. 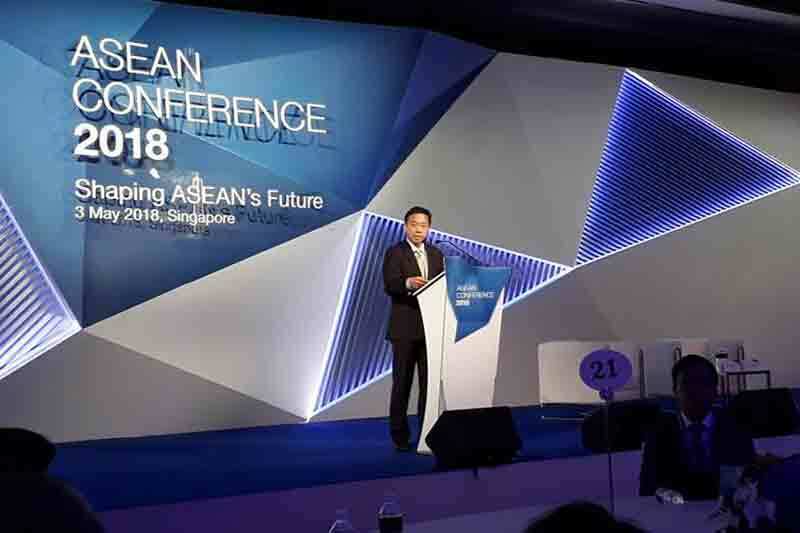 grow eight times to US$88 billion by 2025.
possibilities to deliver more services online,” he said. Mr Png highlighted 3 opportunities for Singapore companies. such as education, entertainment and healthcare, remain underdeveloped. fulfilment centres for e-commerce, data centres and logistic infrastructure. as well as talent network to help them venture into the region,” said Mr Png. entry into other ASEAN markets. feasibility studies when expanding into new markets. Innovation Alliance (GIA) network in Jakarta and Bangkok. to be exposed to these markets. will be shared later this year. as they venture into ASEAN,” My Png concluded.